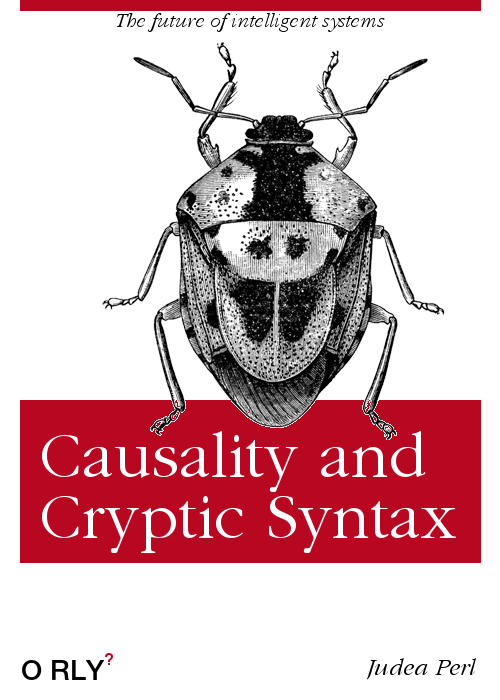 I just made one of those O’Reilly parody book covers. It’s a joke on Judea Pearl, expert in causal inference, and the Perl programming language, known for its unusual, terse syntax. I quite like the beetle. What is it called?